Our Free App of the Day is just in time for Mother’s Day! 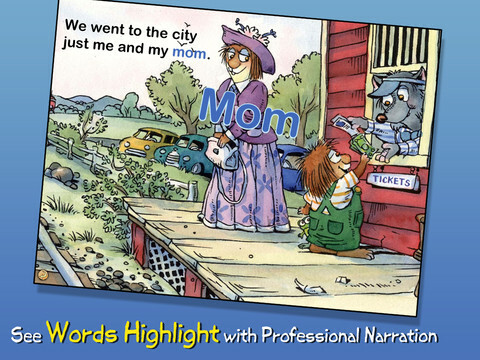 Download Just Me and My Mom, a Mercer Mayer storybook app. Little Critter is back in this preschool-friendly tale about special time with Mom. Little Critter enjoys a special day in the city with his mother. He means well, but gets himself in trouble all along the way. His mother is oh so patient when Critter loses the train tickets, picks up a dinosaur egg in the natural history museum, and misbehaves at lunch. In spite of his difficulties, Little Critter happily falls asleep on the train going home, exhausted from the big outing with his mother. Additional Little Critter apps are available! Wonderful techno gift to mom. Really a good idea of recording voice and message your mom and make her special on her day.